Do you hear that rushing sound? Malibu’s victorious Measure R supporters say it’s the tide beginning to turn. Measure R, which enables Malibu residents to vote on any proposed new commercial development in excess of 20,000 square feet and limits chain stores, passed with nearly 60 percent of the vote on November 4. "Last night’s election result is a major victory for the residents of Malibu, all of whom now have a stronger voice over the future of our community. Measure R will help preserve the unique character of Malibu and combat increased traffic and the destruction of open spaces by giving voters a say on the 1.5 million square feet of commercial development currently planned in the heart of the city and on future development plans. I would like to extend an enthusiastic thank you to all those who signed petitions to place Measure R on the ballot, who volunteered on the phones and the streets and, most importantly, who voted for this historic new law for our city. We now call on the Malibu City Council and City Attorney to swiftly implement Measure R and vigorously defend it against promised attacks from developers who opposed the law. Passing a ballot measure is no small task and the success of Measure R serves as a wake-up call for all those who dismissed it and campaigned against it." "This is quite significant," Reiner told the Los Angeles Times. "It's the first time that the people who live here — the residents of Malibu — really have a say over the future of our community. Before it was kind of controlled by a small group of people who had a stranglehold on development. This is a big deal for everybody." Rob Reiner rallies an auditorium full of Measure R volunteers on the Sunday before the vote. Malibu residents spent hundreds of hours gathering signatures, making phone calls and talking to people in front of Malibu's markets. These weren't paid campaigners, as the No on R campaign alleged, they were friends and neighbors who donated their time to a cause they believe in. The developer who just about single-handedly funded the "No on R" campaign is Steve Soboroff. He is the developer of the new city of Playa Vista that is being built in the Ballona Wetlands. He used to own the Malibu Village shopping center, and is currently seeking to build a new shopping center in Malibu. Soboroff not only opposed Measure R but has threatened to sue the city if the measure was approved. His position is easy to understand, if not to condone. He has a major investment in developing his six-acre property in Malibu. “Soboroff, through his development entity Whole Foods and the Park LLC, donated $85,000 as of Oct. 18 to oppose the measure, according to filings. His partnership spent more than $12 million on the site and signed a lease with Whole Foods Markets Inc. (WFM) worth $50 million, he said. “Limiting commercial development will worsen congestion on Pacific Coast Highway, Malibu’s main artery, because it will force residents and visitors to continue to drive as far as 20 miles to shopping centers outside the 13,000-resident city,” said developer Steve Soboroff. Really? Malibu, officially a community of 13,000 people, but with only 5000 or so year-round residents, already has four grocery stores, including PC Greens—a locally owned and operated full service health food store. We also have a farmer’s market every Sunday. Not building yet another grocery store may cause a crisis for the developer, but is unlikely to impact the community. The media took great delight in making fun of the local move to limit chain stores and commercialization, but communities throughout the country from California to Maine have been watching the Malibu struggle. Measure R passed with 60 percent of the vote because a majority of Malibu residents are increasingly concerned that the community is being forced to become a shopping destination instead of a surfing destination. It's a drama increasingly playing out throughout the country and other communities are also seeking viable ways to push back. 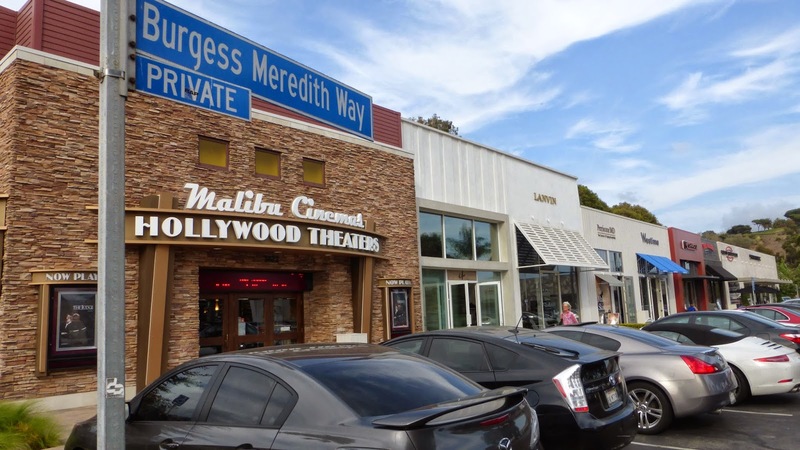 The Malibu Village shopping center, which changed hands recently, was reportedly sold to an out of state commercial real estate company for $150 million. It's a reminder of how much money is at stake in the Malibu version of the Monopoly game. However, under Measure R, the developer is welcome to put the project to the vote, once it has passed planning commission review and if it meets city zoning critera. 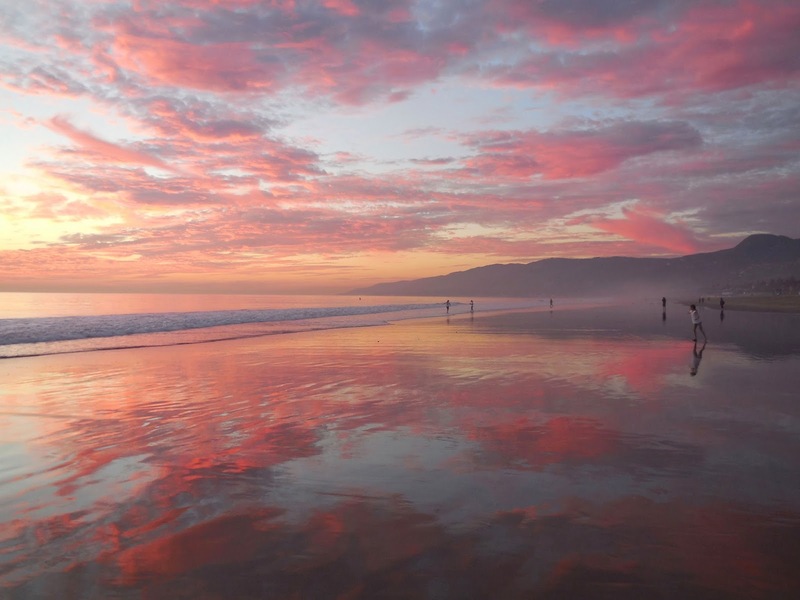 If the people of Malibu think the project offers something needed it will pass. If not, well, maybe it’s time to scale the plan back. My mom, a dedicated Measure R supporter who gathered signatures to put the measure on the ballot and made phone calls, says she would have no problem supporting a Whole Foods in Malibu, provided the project has adequate parking and traffic mitigation and fits into the environment. Soboroff seems not to have been aware that Malibu is essentially a small town, and that the people who live here know each other and tend to closely follow what's happening in the community. 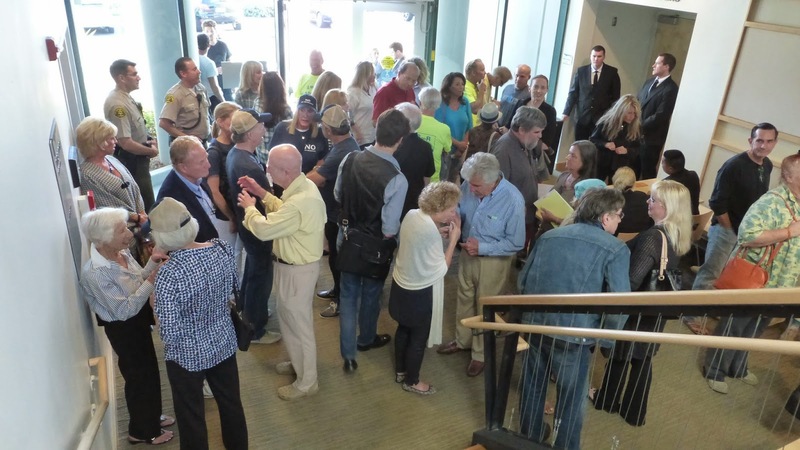 Proponents and opponents of Measure R mingle in the foyer at Malibu City Hall before the debate between developer Steve Soboroff and political activist Rob Reiner. At Soboroff's request, five sheriff's deputies and at least three Men in Black were there to keep the peace. You can see what a dangerous crowd it is. This might have funny if it wasn't happening in our city hall. At least we didn't have to have our bags searched or take off our shoes before entering. The No on R campaign claims that R was the work of outside interests was curious, because the people who gathered signatures, and volunteered to make calls, and stood outside of the markets every day for weeks, and who campaigned for the elements that comprise Measure R for more than four years, are neighbors, not faceless strangers. This disconnect extended to almost every aspect of the No campaign. At the debate between Soboroff and Reiner an exactly equal number of supporters and opponents of the measure had to present their tickets and then enter through separate doors and sit on opposite sides of the auditorium. An exactly equal number of Measure R supporters and opponents were seated on opposite sides of the auditorium at the Measure R debate between Steve Soboroff and Rob Reiner the week before the election. I felt like I was at a very old fashioned church wedding instead of a political debate. One news story quipped that the security was tighter than at a presidential debate. 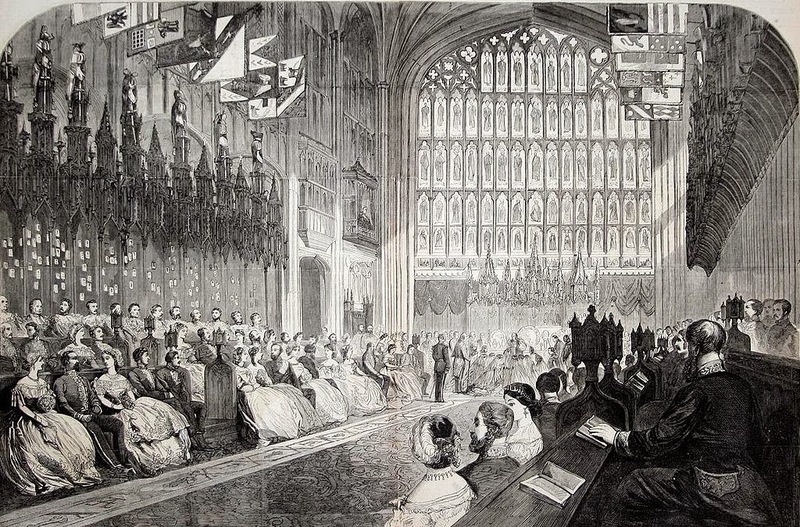 Image: Saint George's Chapel, 1861, from Harpers Weekly Newspaper. All four of the city’s five council members in attendance sat on the No on R side, with the development interests and their staff and consultants. The press was over there, too, in a roped-off corner where they were supposed to stay, but of course they didn’t. Journalists don’t like to be treated like sheep. Who does? There were five sheriff’s deputies and at least three private security guards at that debate. It felt like the USSR instead of Sunday afternoon at Malibu City Hall. Were they afraid we would throw shoes or tomatoes? 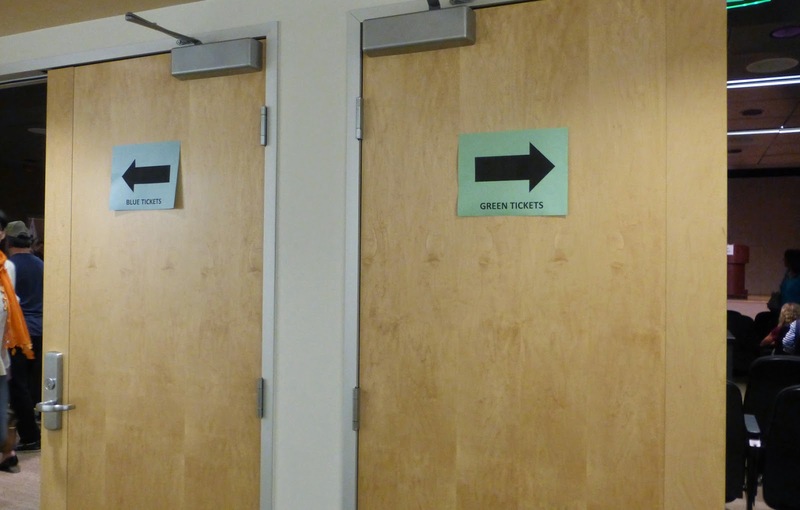 Measure R supporters had green tickets and had to enter through the right door and sit on the right side, opponents entered through the blue door and sat on the left side. It's true Soboroff earned a few boos and hisses, but his accusation that the Measure R supporters, many in neon yellow Measure R tees, were being intimidated into supporting the measure, was a bit much. And then he followed that statement up by saying he hoped that the people who have spent years campaigning for local control to limit commercial overdevelopment would have the courage to vote no on the measure they worked so hard to get on the ballot. I was sitting next to Dolores Walsh, a.k.a. the Malibu Godmother, and behind our resident fire eater Andy Lyon, and the person who could intimidate either of those remarkable Malibu residents has never been born. No one was allowed to take photos of the debate except for a few select journalists, and both sides agreed not to use photos of the event (a promise the No on R campaign promptly broke), so here's a photo from Alice in Wonderland that expresses how completely bizarre the whole debate experience was for the audience. Soboroff may have worried that Measure R supporters would run amok, but it's difficult to understand why our elected officials agreed to this segregation. And it’s troubling when city officials, even those with the best intentions, allow the advice of consultants to drown out the concerns of their constituents. Measure R, as Reiner stated, should be a wake up call to everyone. In the end, the No on R campaign’s increasingly outre claims, including a certain developer’s statement that only the tooth fairy (yes, really, the tooth fairy) could save Malibu if Measure R should pass, failed to convince the majority of Malibu voters that development is the way to save the community. “Rob, your Measure has no tooth fairy provision,” Soboroff said, repeatedly. 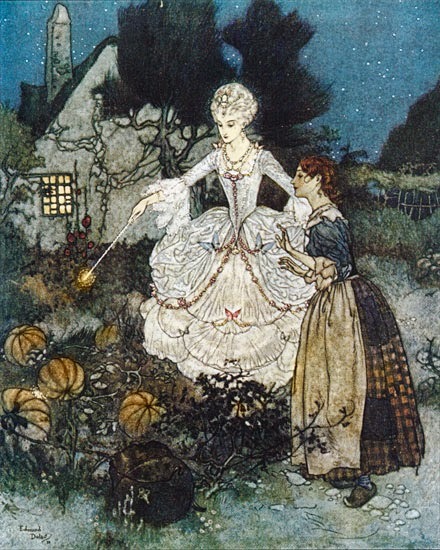 I’ve never heard anyone invoke the tooth fairy before. I think, on reflection, that Soboroff probably meant not the mythological creature that leaves pocket change in exchange for baby teeth, but the type of good fairy that grants wishes, like Pinocchio’s Blue Fairy, or the fairy godmother in Cinderella. Malibu doesn’t need a godmother. We already have one. And the minority of Malibu residents who opposed the measure? There have been other battles where many of us have fought together for the common good of all, like the fight for cityhood. Now that the battle over R has ended, what we need to do is come together again and work together with respect and good will to craft a future for Malibu that builds on our city’s mission and vision statement, not over it.